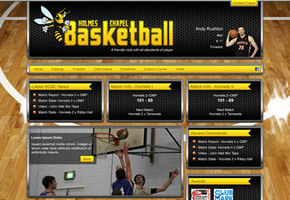 A Local Basketball Site That’s Better Than Some Professional Ones! 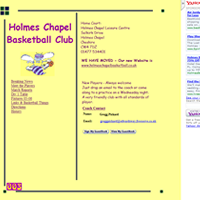 The Holmes Chapel Hornets are a local basketball club, which includes a premiership and division 2 squad, plus a youth development team too. They needed a site that allowed them to categorise content between the teams and to be able to easily update the site with match reports and statistics. 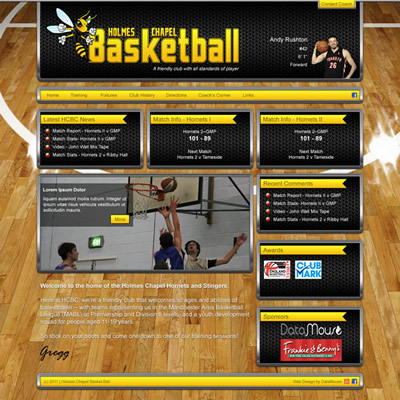 This WordPress installation automatically lists the upcoming games for each team and provides fresh content from external basketball sites, such as the NBA, into the design. It also features a custom logo, the ability to vote on man of the match performances and uses the latest jQuery-powered effects too.